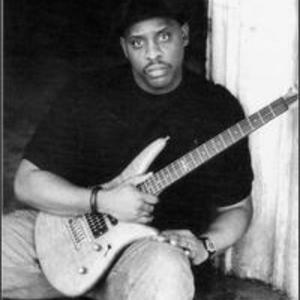 Zachary Breaux (June 26, 1960 - February 20, 1997) was an American jazz guitarist, influenced by George Benson and Wes Montgomery and best remembered for his soul-jazz work. He played with many notable jazz musicians during his career, including Roy Ayers, Stanley Turrentine, Jack McDuff, Lonnie Liston Smith, Dee Dee Bridgewater and Donald Byrd. Biography Zachary Breaux was born on June 26, 1960 in Port Arthur, Texas. Zachary Breaux was born on June 26, 1960 in Port Arthur, Texas. He began playing at the age of 9 and after graduating from Lincoln High School, he studied music composition at North Texas State University. In 1984, he moved to New York, where he spent 6 years in the band of vibist Roy Ayers. He was signed to Zebra Records in 1996, but died on February 20, 1997 at the age of 36 while on holiday in Miami Beach. He was trying to save the life of another swimmer, Eugenia Poleyeff, caught by a riptide.